Good things happen to your customers when good things happen to your staff. When people feel good about their job, when they are proud to be on your team, they strive to achieve more and do better. So one of your most important tasks as a customer service leader is to build a motivation strategy that will create and maintain the spirit of enthusiasm among your employees. 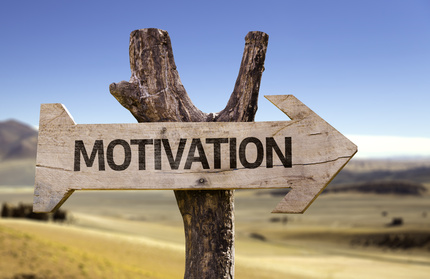 How do you go about creating a successful motivation strategy? Let’s turn to some theoretical insights to better understand the nature of motivators. A long time ago, in the year 1943, psychologist Abraham Maslow proposed that all people seek to satisfy five basic kinds of needs: physiological, safety, belongingness, esteem, self-actualization. 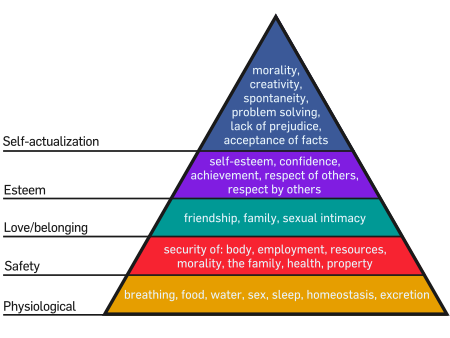 Those constitute a hierarchy of needs, with the most basic at the bottom. Maslow argued that a person must have his or her lowest-level needs met before he or she would strive to satisfy needs higher in the hierarchy. Let us assume that two lowest levels in the hierarchy of needs are satisfied. Your people get decent salary and earn enough to afford food, water, warmth and shelter. They work in good conditions and there’s nothing harmful about their working place. The next level of unmet needs in the hierarchy would represent social needs like sense of belonging to a group, trust and acceptance. The fourth level is related to the esteem needs like responsibility, reputation, respect, achievements and confidence. And the highest fifth level in the hierarchy includes self-actualization needs like personal growth and fulfilment, creativity and morale. Would you like to discover some effective ways to motivate your staff and ensure the continuous growth for each level? Here are some tips for ensuring that your customer service representatives feel positive about the job they perform and have plenty of enthusiasm to develop further. No man is an island, and for many their team at work is much like a family, where mutual support and trust are really important. To create a powerful team spirit and break down barriers at the workplace let your employees work on projects as a team, include them in the brainstorming and decision-making process, make sure everyone can act as a hands-on contributor and feels comfortable sharing ideas and opinions. And also take time and effort to organize team activities to let them communicate behind the scenes. As an old saying goes, teamwork divides the task and multiplies the success. According to C. Sewell and P. Brown in their book Customers for Life, “People are naturally competitive. They’ll try to exceed whatever goals are set for them, whether or not they’re paid more for doing so. The secret is to set goals that are in the best interest of the business”. When used properly, competition can deliver brilliant results for a team’s performance. People contribute their efforts and ideas to the maximum when they have an opportunity to take a crack at something challenging. Healthy competition is a perfect way to avoid routine and boredom at the working place, and it also encourages employees to explore and discover new approaches to their job performance. People’s desire to balance work and other aspects of life has its impact on how they feel about their jobs too. Work must not consume employees’ lives. Companies that recognize the need for balance are increasingly attractive to workers. Can your company let your employees enjoy an appropriate balance between work and leisure? By introducing flexible scheduling and recognizing family needs, you can establish a basis for stronger employee satisfaction and better performance. Customer service agents stand behind your brand. In other words, representatives tend to associate themselves very closely with the products or services your company offers. There’s nothing more demoralizing and demotivating than having to handle endless complaints and recalls on daily basis, isn’t it? So your most important task is to make sure your team can be proud of the product they support. When your products or service make people’s everyday life easier and better, customer service reps enjoy their job and are happy to be on your team. You might tend to look for things to criticize rather than for things to compliment. Just because you expect your team to perform well. Surprisingly, your praise – which actually is the easiest thing to do and costs nothing – may work wonders. It is human nature to want to be noticed and recognized. Look for praiseworthy situations. Make sure that your employees hear from you when they’re doing a good job. That reinforces what they did, and also communicates your values to everyone else. The common belief is that customer service job stands for an entry level, low-skilled position. But is that true? Quite the other way around! Your customer service team is the first point of contact for your customers, and often the only contact they have with your company. Take the time to encourage positive performance from your team and, whenever possible, emphasize how important their job is for your business. Devotion and hard work should lead to new personal and professional achievements. Encourage your people to develop new skills and get more expertise. Let them choose from a list of potential projects, assignments, or tasks that could enrich their work. It is also worth it to invest in their professional development through online training, conferences and seminars. Continually look for promotional possibilities for your employees (even if that means letting them leave your department, have their best interests at heart). Get the best from your people and encourage them to be at their most creative. Encourage your reps to keep looking anew at the way they approach their work and asking themselves what might be achieved by doing things differently. By creating a culture where employees are encouraged to think out of the box and actively put ideas forward, you can help your business innovate and grow. When it comes to a discount request, special offer or shipping, let your team be the decision makers. By empowering your customer service reps you will get them more engaged and motivated to do the right thing for the customer. And the freedom of being flexible and responsive to customer issues will enable them to turn a potentially frustrating situation into a positive customer interaction and build long-term customer relationships based on credible professional approach. We feel good about ourselves when we do business with a company that shares our own values. Consider if your organization can make an effort to be green and take care of the environment. Or why not donate your old computers to a local school or provide special discounts to non-profit organizations? How would you go about giving back to the community by volunteering for an occasional highway cleanup? There are many other ways your company may contribute and let your people feel good about being part of your success. Ultimately, good things happen to you, your company and your people when you feel you can make this world a better place together. Do you ever ask yourself why to motivate your customer support team? Do you know how to motivate them? Do you have any other inspiring ways to bring the spirit of enthusiasm to the workplace? Tell us your story through the comments section, we would love to hear from you. And as always, thank you for reading our blog! This entry was posted in Articles, Tips and Tricks and tagged employee motivation, support motivation. Bookmark the permalink.